Having recently completed a UK tour supporting The Coral, SHE DREW THE GUN will hit the road in February for an extensive headline tour. Many of the dates are already sold-out, with the Glasgow gig being moved to Mono, a bigger venue. Watch the video for their 6Music A-Listed current single ‘Something For The Pain’. The stylish black & white video was produced and directed by Johnny Gregory and shot in Liverpool. 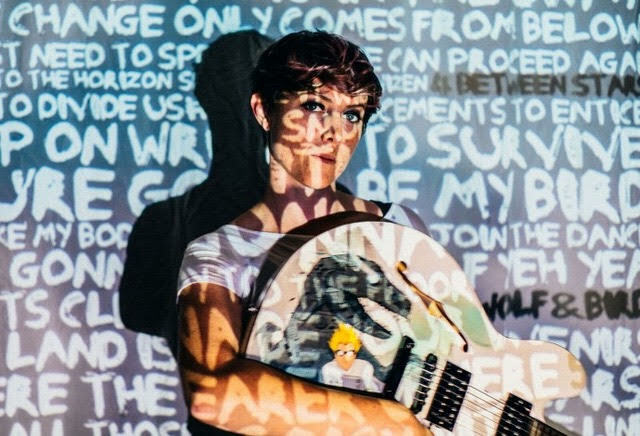 “The song is about a conversation with a refugee set in the future,” says Louisa Roach, She Drew The Gun’s frontwoman, guitarist and songwriter. “At the point where the refugee crisis has become so big and automation so ubiquitous, that what is left of the first world finally make the decision to become a people rather than profit based society, one that treats everybody as citizens giving them their basic needs. In the video we played with the idea of that future exchange using ‘Jenny Holzer’ style text art to create a narrative and dancers to represent the conversation.